If you are looking for a job in Assam, here is the good news for you. INDIAN Army has published a notification regarding their latest Recruitment in various posts by INDIAN Army Jobs in Assam 2017. 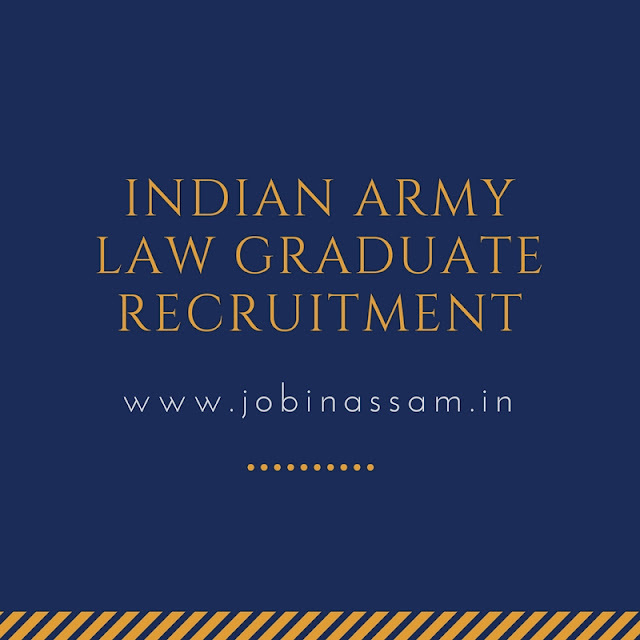 Indian Army looking for Law Graduate married/unmarried men and unmarried women for a grant of short service commission in the Indian Army for judge advocate general branch. Name of the Post:- Judge Advocate General Branch. Name of the Post- Judge Advocate General Branch. Minimum 55% aggregate marks in LLB degree. The candidate should be eligible for bar council of India/state.